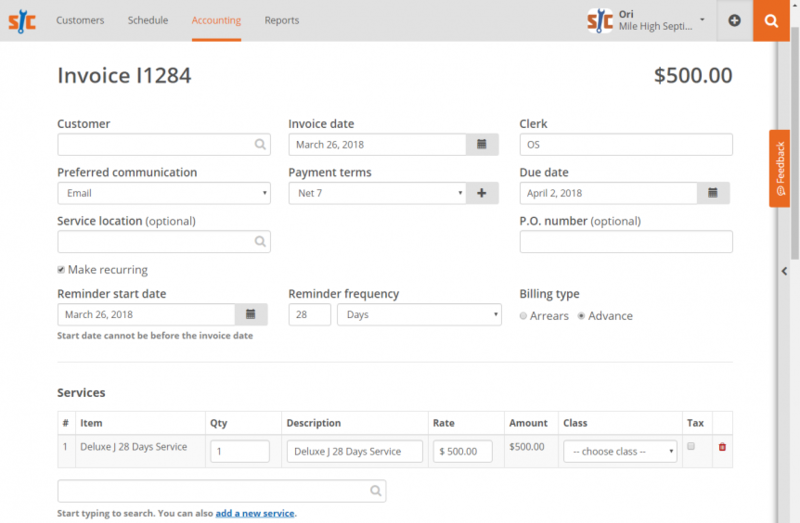 A billing cycle is used to determine the amount of time between one invoice and the next. Billing cycles can range anywhere from 20 to 45 days, depending on the type of cycle you select. When it comes to the billing cycle for companies in the liquid waste industry, it’s up to the business owner to decide how they would like to set it up. However, the owners don’t always know what the best option is. That’s why it helps to know the most common billing practices and how they work. In this blog, we will discuss the difference between 28 day billing and monthly billing. These are the most commonly used billing practices for the liquid waste industry because they’re simple and customers can easily understand them. The 28 day billing cycle will allow you to generate invoices as often as daily when the anniversary is reached. Most business owners will generate a billing batch each week for these clients. With the 28 day billing cycle, there’s a total of 13 billing cycles every year, rather than 12 which is used for monthly billing cycles. 28 day billing helps owners get paid per service, easily prorate customers on a weekly basis, and regulate income. However, some customers don’t like 28 day billing because the billing date varies, there’s an extra billing period, and it can end up costing the customer more money in the long run. The monthly billing cycle will send the invoice to your customers on either the first or last day of the month. During this cycle, your customers will receive 12 invoices every year. Monthly billing is beneficial because customers will have a consistent billing date, only pay 12 times per year, and won’t have to keep track of an extra billing cycle. However, sometimes customers don’t want charged on a monthly basis and owners won’t get paid for that extra billing cycle. ServiceCore software will help you better manage your customers billing and payment information in a single platform. You can set up the billing cycle that’s right for you and adjust it if you decide to go another route. When you’re ready to get started, give us a call at 844-336-0611 or book a live demo.